Traveling to France in May can be a bit complicated. We have many holidays, and many extended weekends since the French “font le pont” – they will take an extra day off when there is only one day separating a holiday from a weekend, and therefore have a “long weekend”. And there are many holidays in May in France. 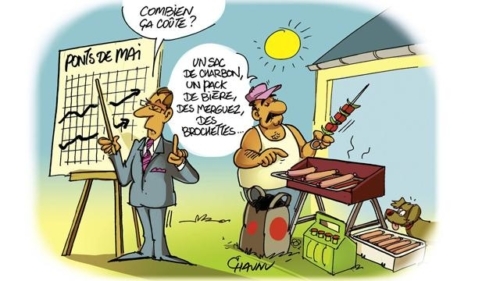 May 1st is Labor Day (la fête du travail). May 8th is the end of WW2 in Europe (VE day). In May, we have a Christian holiday, l’Ascension (this year the 10th), when the Christians celebrate the day Jesus Christ reborn ascended to the Heavens. Then, we have another Christian holiday” la Pentecôte” is celebrated 40 days after “Pâques” (Easter), which is usually sometimes in May (this year May 20th-21th). It commemorates the descent of the Holy Spirit upon the Apostles and other followers of Jesus Christ. 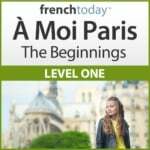 What Does “Faire le Pont” Mean in French? “Faire le pont” means that when a holiday is on a Tuesday or a Thursday, the day which links over to the the weekend is also off for the employees (who still get paid). So for example, this year, Leyla’s (our 12 year old daughter) school will be closed on Thursday the 10th (Ascension) and also Friday the 11th – because it “forms a bridge” to the weekend. “L’école de Leyla fait le pont” – Leyla’s school will have a 4 day break (the 10th, the 11th, and then the weekend the 12th and the 13th). And of course “les ponts du mois de mai” have a tremendous influence on the price of train tickets and the traffic on the roads. You can count on major traffic jams! Something to be aware of when planning your trip to France! May 1st is Labor Day in France. So it’s a holiday, and people don’t work and most shops are closed. When I was much younger, kids would go pick some in the woods, and sell them on the streets. 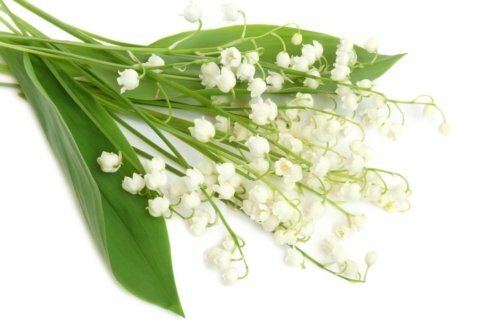 On that day, everybody is allowed to sell lily-of-the-valley anywhere, even door-to-door, without any kind of permit. Est-ce que vous faites le pont de la Pentecôte ? Are you having an extended weekend around La Pentecôte? Je vais profiter du pont pour partir en vacances. I’ll take advantage of the long weekend to go on vacation. And of course, another big celebration in May in France is Mother’s day! But that’s at the very end of the month for us. In order to learn about French culture and French language in context, check out my downloadable French audiobooks, featuring different speeds of recording and enunciation, and focussing on today’s modern glided pronunciation, exclusively on sale on French Today.